It’s hard to paint a masterpiece without a quality canvas. The importance of a rental application is often misunderstood and cannot be stressed enough! Don’t think of it as merely a piece of paper to collect a name and a phone number. It can be an invaluable tool, providing essential data and even offering legal protection… but only when used the right way. Whether you intend to buy an existing template or create your own “homemade” rental application, there are vitally important questions, acknowledgments and authorizations that you need to ensure are included for your own protection. 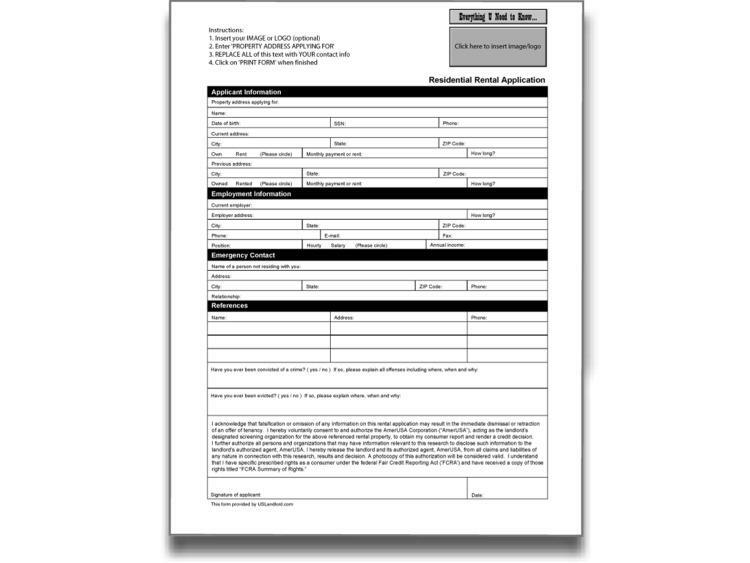 It is important to note that many of these questions are often not included on standard rental applications – even the ones sold by those companies which boldly assert their forms are created by attorneys or real estate industry professionals. 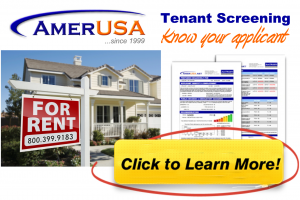 Along with each of these “must-have” questions, there are other aspects associated with the rental application that you will also need to carefully consider which are explained in the other tenant screening tips offered on this website. In order to get the right answers, you must ask the right questions. Sounds simple enough, but you’d be surprised just how many rental applications fall short of their supposed duty. Collecting all of the important information the first time around will eliminate unnecessary delays and aggravation in screening your “would-be” tenants—and will also provide you the insight to be able to pick out the best prospects before they have gone elsewhere. Have you ever been evicted? If so, in which state and why? You would think the single most important question would be an obvious inclusion, but—for some inexplicable reason—most rental applications fail to ask it! This question is not just a great tool for pre-screening, but also serves as an opportunity for honest applicants to make themselves known. If an applicant admits “yes” and provides a reasonable explanation, that person’s integrity speaks volumes and you may still want to keep them in serious consideration. Remember: The individual has risked being automatically disqualified by being honest with you, knowing full well a great deal of landlords never bother to conduct background checks. On the other hand, if he or she knowingly makes a false statement on an application, this is solid legal grounds for immediately declining any applicant. Have you ever been convicted of a crime? If so, please explain all offenses. Most of the time – if it is asked at all – you will see this question inquiring only about felony convictions. A criminal record, whether misdemeanor or felony, is nothing to take lightly—and unless you ask for an explanation of all offenses, you will most likely get a flippant or evasive response. Once again, this is an instance where you have an opportunity to assess an applicant’s integrity, with the option of granting that second chance should their explanation hold water. Otherwise, he or she has actually just committed another act of indiscretion and you shouldn’t even be considering them for tenancy at this point. Seriously – if the applicant has already blatantly lied to you at this early stage of the game, do you really want to enter into any relationship in which you’ll be relying on them financially each and every month? Who will be residing at the property? Please list all occupants and their ages. This may not seem all that necessary, but it’s actually very important! If there is no clear disclosure of all prospective adult and minor occupants, then you might as well just post a permanent vacancy sign – and install a revolving door while you’re at it! Having a list of every potential occupant who is going to be living at your property will enable you to screen accordingly, as well as to draft your lease agreement to legally protect your investment, by reserving the right to approve any additional residents. Do you own any pets or animals? If so, please list all breeds and weights. This question speaks for itself: If you fail to include it, you may be in for a mighty unpleasant surprise! Having a list of every pet allows you to consider the risks associated with each individual breed of animal – you can even require a pet interview to be certain that the animal itself, regardless of breed, is amiable. You should never agree to accept any pet or animal unless you understand completely its potential for property damage and for bodily injury (for obvious personal and legal reasons).